Keeping a healthy diet in the workplace can be quite a challenge. Many workers spend most of their day at their desk, even sitting through their lunch breaks as they try to keep up with piles of work. This leads to consumption of junk food at a high rate. The availability of these unhealthy foods is also a big factor in this habit. After all, the vending machine is just a short walk away, and coworkers are always passing cookies and a variety of other treats around. This makes it very hard for one to steer away from junk food. The concentration required at work means that you need to be fully fueled to ensure maximum productivity. 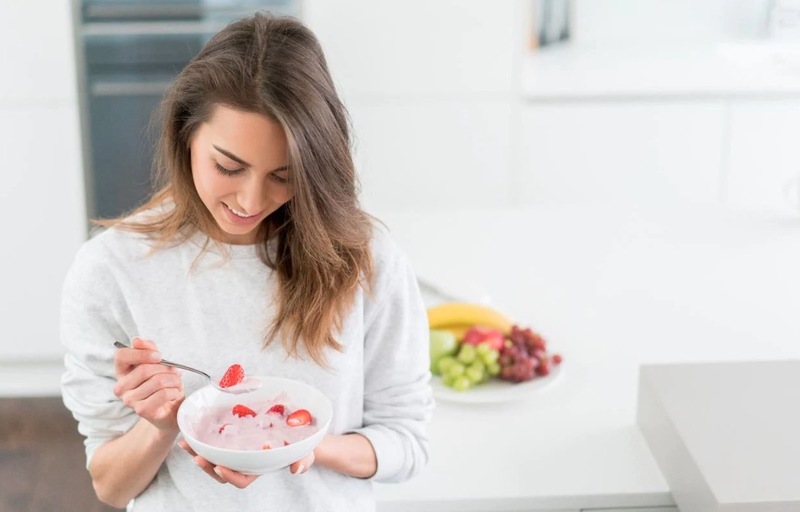 If you do not fuel your body and brain correctly, you’ll find yourself running for quick fixes, which you’ll keep consuming throughout the day. These foods give you satiety for a short while before you’re craving them again. Even worse, they barely have any nutritive value, and are filled with calories and a bunch of other unhealthy fats. While it might seem hard, it’s possible to maintain a healthy diet in this kind of work environment. Below are some tips on how to achieve this. Taking in enough fluids will help you achieve a healthy lifestyle at work in so many ways. In order to stay hydrated, experts recommend drinking at least eight glasses of water each day. Water has a satiety effect, meaning it will keep you feeling full throughout the day, ridding you of hunger pangs that drive you towards that vending machine. If you’re too lazy about drinking all that water, you can go for fruits with high water content instead, such as watermelon, or pick up a bottle of flavored water. This also helps gets rid of headaches, which often drive you to the office coffee maker. Take control over what you eat at the workplace and pack your own lunch. This way, you can make sure you include vegetables, fruits, and fluids for maximum nutritive value. Having a well prepared delicious meal will help kill all junk food cravings at the office. Many people skip breakfast in their rush to work. This is a big mistake that contributes to the craving for junk foods later on in the day. Breakfast is a very important meal. This is because it sets the pace for the day. The moment you miss it, you’ll spend the day making poor dietary choices. A well balanced, healthy breakfast fuels your body and brain for the upcoming workday. It contains enough proteins to keep you feeling satisfied until it’s time for lunch. This eliminates the need to consume junk food now and then. Out of sight, out of mind. If you’re keeping a packet of cookies in your desk or office, you’ll end up consuming it all by the end of the day. The fact that you can see it there will awake your craving unnecessarily. If you have an office kitchen or a mini-fridge somewhere that’s not the corner your office, keep your junk food there. That way you’ll only consume it on your coffee breaks. Even better, replace your junk food with healthy snacks that actually provide nutrition to your body.